The album of Saamy Square was released recently. Now the makers have announced the movie will be released in September. Producer Shibu Thameens tweeted the exact date of release will be announced after the movie was censored. “All set for September 2018, Tnx for all your support and blessings until today nd further. Exact date on approval of TFPC nd CBFC certification,” he tweeted. Keerthy Suresh and Aishwarya Rajesh will be sharing screen space with Vikram for the first time in the flick directed by Hari. Bobby Simha plays the role of the son of Kota Srinivasan, who was the villain in the first part. The movie is the sequel to Saamy which was a blockbuster in 2003. The flick is produced by Shibu Thameens. 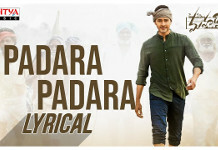 Music is by Devi Sri Prasad. Shooting for the film began with the auspicious pooja in Chennai last year. What is Bobby Simha’s role in Saamy 2? Trisha back in Saamy 2?